The 7510 comes loaded with the Series 40 media player. The player has been polished up a little bit and given a small facelift with new graphics and icons. The basic underlying architecture appears to be the same, but it looks more sophisticated. In the main player menu, you can jump to playlists, artist, albums, songs and other selections. The artists, albums and genre selections each have little arrows next to them, and rather than open up brand new screens, if you select them, it will expand the folder and show you all the content in it without jumping to a new screen. This speeds up selecting music. The main screen shows the song and album title, followed by the artist. Along the bottom third of the screen are all the controls. The D-pad lets you skip back, pause and skip forward tracks. The music software still has the 5-band graphic equalizer, which is one of my favorite features. 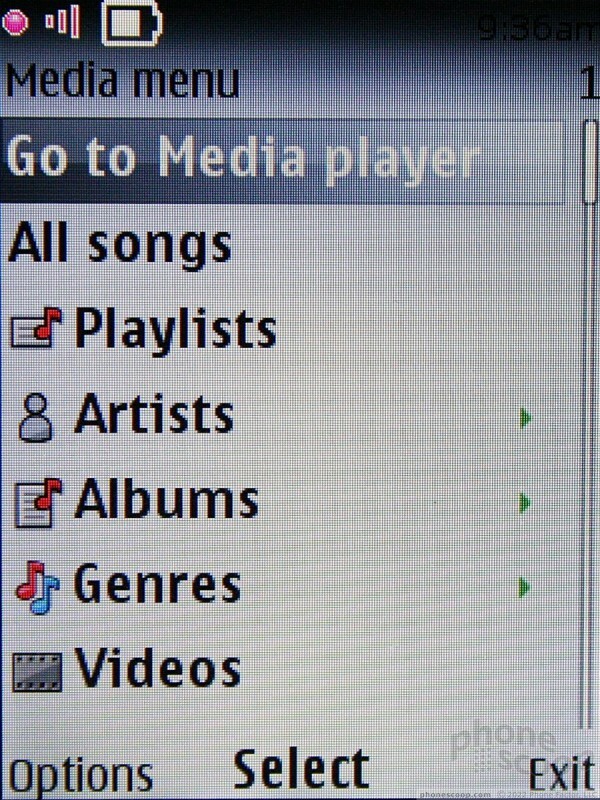 The media player also plays your videos with the same set of controls and in the same window. This combination of the music and video player into one interface cuts down on the learning curve of the phone and lets you concentrate on the media, and not the device. The 7510 also has an FM radio. With a pair of headphones attached, I had no trouble dialing in my favorite NYC-area rock radio stations. 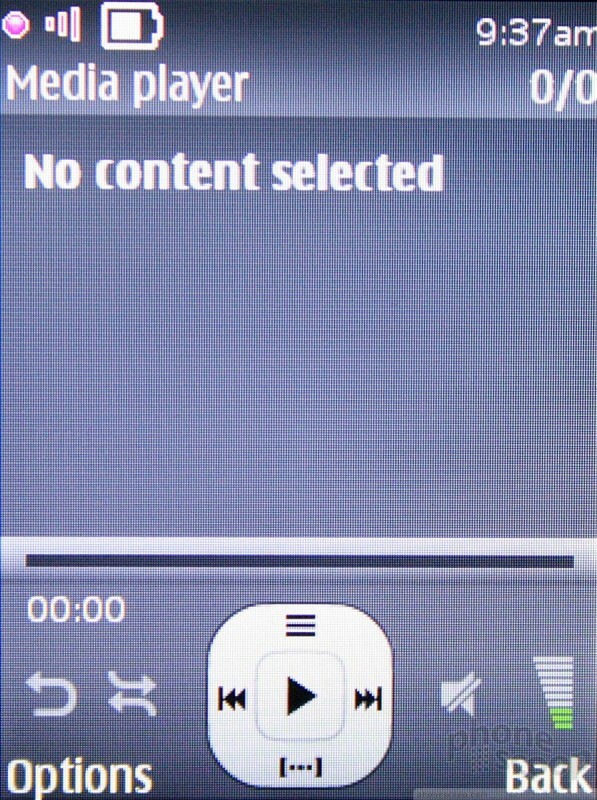 Otherwise, the player offers all that one can expect from a non-music-focused phone.